31 Commercial Real Estate & Properties in Belmont are listed in 6 categories. 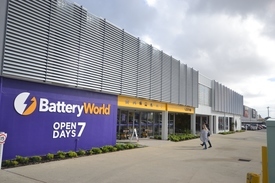 We have 15 Industrial Warehouses Sale & Lease , 12 OfficesSale & Lease , 4 Development LandsSale & Lease , 1 ShowroomsSale & Lease , 1 Retail ShopsSale & Lease and 1 Other Commercial PropertiesSale & Lease . Corporate Ground Floor Office Located On Busy Belmont Avenue $46,000 net+ VO's + ..
180 & 182 Daly Street, Belmont provides two office / warehouse buildings located in the heart of Belmont, with excellent access to the CBD and airports. 180 Daly Street Office = 300sqm / Warehouse = 700sqm 182 Daly Street Office = 300sqm / Warehouse = 1,300sqm Both buildings provide partitioned, air conditioned office space with high truss warehouse to the rear. The property provides easy access to Abernethy Road, Great Eastern Highway, Tonkin Highway, Graham Farmer Freeway and Leach Highway. 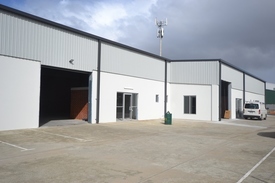 Key Features: 180 Daly Street 1,000m 182 Daly Street 1,600m Multiple roller door access points High truss warehouses with clear spam Ample onsite parking Between CBD and Airports 10 minutes to both the CBD and Airports. For further information, contact the exclusive leasing agent Colm McHugh. Affordable Warehouses With Flexible Options From 256sqm To 2,046sqm! Various options, please c.. Right Bang On Belmont Avenue! Negotiable, Please Contac..
126sqm Office Directly Opposite Belmont Forum Revised Price $24,570 pa ..
Partitioned, Cabled And Ready To Go! $46,000pa plus GST and ou..
1,100sqm Warehouse 1,000+sqm Hardstand Negotiable - please conta.. Affordable Flexible Options With 108sqm To 431sqm Available Various options, please c..
Unit 2 4, 25 Belgravia Street, Belmont Multiple Options - Please.. Incentives Available - All Offers Presented To Owner! Make an offer! 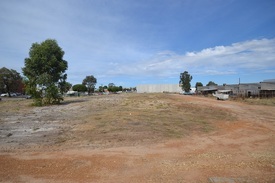 Prime Belmont Land 2,089sqm - 8,525sqm With Flexible Options Numerous options - please.. Excellent Location With Flexible Options Various options, please c.. This outstanding new development provides high quality, architecturally designed office and warehouse tenancies. 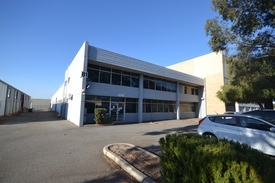 All tenancies will have street frontage providing easy access to both office and warehouse. 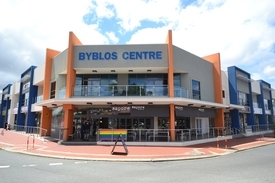 Strategically located on the corner of Campbell Street, Robinson Avenue and Newlyn Street in the heart of Belmont. Belmont is only some 5kms from Perth CBD and is easily accessed via a number of major arterial roads including Orrong Road / Graham Farmer Freeway, Great Eastern Highway and Abernethy Road. This location also provides excellent access to both the domestic and international airports. 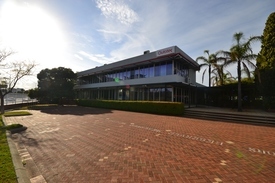 Key Features: Office area : 379sqm Office/Warehouse area 532sqm 1,288sqm 60% leased already Join Serco, BMD & GWH Group Outstanding new office and warehouse development Architecturally designed Ready for occupation 78 car bays plus on street parking Zoned mixed business Extensively landscaped For further information contact the exclusive leasing agents.